Scott Buchanan's quest to play Super Mario 64 without jumping. If you followed Awesome Games Done Quick, you may already be familiar with the world of speedrunning, a community that uses a combination of high-level play, strategic optimization and movement glitches to race through games at breakneck speeds. A full speedrun of Super Mario 64 only takes around one hour and 44 minutes, for instance-- a tiny fraction of the dozens of hours that it takes a player like myself to complete the game. Yet when Scott Buchanan plays Super Mario 64, it might take dozens of hours to reach a single star: the Youtuber plays the game with the self-imposed challenge of avoiding pressing the A button. As you can imagine, trying to play a platformer without jumping makes it a little difficult. How difficult exactly? To answer that, we need to talk about parallel universes. In his most recent video, Scott explains a new approach for getting to the Watch for Rolling Rocks star that, among other things, involves walking in place for twelve hours to collect enough momentum to tunnel through into copies of the original course that exist out of bounds. All to improve on his previous method by half an A press, and yes, that’s totally a thing. The video has developed quite a reputation for the rabbit hole of complexity it takes you down, and deservedly so. Once you understand the premise of the A Button Challenge, you would expect that a game built around jumping contained many unavoidable leaps, and for the community to make do with that fact. Instead of compromising on his goals, however, Scott challenges these assumptions and asks basic question about the underlying rules of this virtual world, delivering what is essentially a physics lecture from an alternate reality. When faced with the choice of pressing A or solving the equivalent of Transwarp equations, Scott chooses the latter. At this point, there are 35 A presses left in a full run of Super Mario 64, and Scott has made a scientific process out of trying to cut these out. It begins on his secondary channel, where he tests and documents various glitches and ideas. When trying to apply these concepts to a full course, he uses memory hacking software to manipulate the game and test his approach under ideal circumstances. Then, he slowly removes his changes and records his attempt under normal conditions, using a controller plugin for his emulator that allows him to move the game forward frame by frame and revise his movements to reach the level of precision many of his tricks require. The use of tools to craft these kind of flawless runs is somewhat controversial among speedrun purists, who consider it a form of cheating, but it really appears to be an entirely different skillset. You can think of it like the difference between playing an instrument and composing music. Both a player and a performer might start off by strumming a few chords for inspiration, but then one goes off to focus on performing music, while the other centers on crafting it. Although musicians cannot match the superhuman precision afforded by audio editing and mixing, these tools are no replacement for talented performers. They simply allow composers to finetune their creation to match a very specific vision. Achieving that vision can take a lot of time and it’s hard to slot that kind of work into the schedule of a college student. Scott still experiments with new ideas during semesters, but saves most of the video work for breaks, when he will produce and release them in waves. 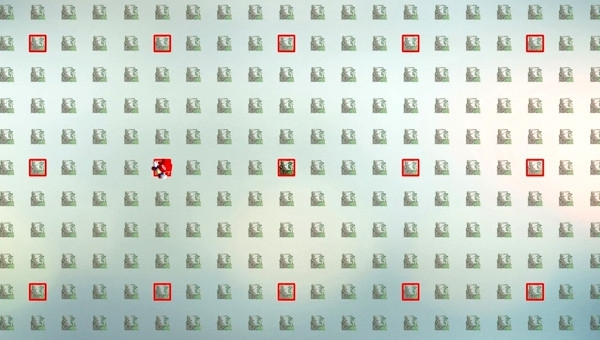 For instance, Mario Wings to the Sky, a video that involves extensive use of a glitch that allows enemies to be cloned and placed at specific locations, took 55 hours to make. That was a full week of day-long sessions with his speedrunning tools, and it’s based on a setup he had been testing on and off for over nine months. It held the record for the most effort he’d put into a video, until Watch for Rolling Rocks came along. Considering the response to his video, it’s fair to say that all the extra effort has paid off. This is not the first time Scott’s work has caught the attention of the gaming community, however: the aforementioned Goomba staircase in Mario Wings to the Sky, collecting a coin that was accidentally placed inside a wall, and explaining the mystery of a Goomba that appears at the bottom of the map for a fraction of a second have all earned him press on big sites. Even if he reached the elusive goal of a zero A press playthrough, Scott would be far from done with Super Mario 64, naming glitch explanation videos and the No Joystick Challenge as the two major categories he would get back to in this case, before rattling off a number of topics that would make for interesting individual videos. At this point, it is hard to say which is more amazing: that Scott is still looking for new things in Super Mario 64 after 20 years, or that he is still finding them. Under all the complex graphs and strange glitches, however, his search is very relatable. Sometimes you just don’t want your favorite game to end. Looks like this one still has a bit of gas left in it. Joe Köller is a freelance writer from Vienna. It took him 558 A presses to complete this interview. I would never even think about doing something like this, but it's what makes creative gamers all that more epic for thinking it up! I'm glad to see this getting more coverage, but as a TASer and speedrunner I feel the need to clear up one misconception that this article perpetuates. Long ago, it was the case that some TASes, notably this SMB3 TAS from 2003, were made available to the public without adequate explanation of how they were made, which caused many people to feel misled, and to perceive TASers as "cheaters". However, those days are long past, and there are no longer any "speedrun purists" who consider TASing cheating - quite to the contrary, the two communities are quite friendly and help each other out a lot. Any highly-optimized human run of an older console game these days was almost certainly informed to some degree by research done by TASers, and human speedrunners regularly make "human-skills theory TASes" to demonstrate what's possible & serve as a guide. I'd also like to direct anyone interested in learning more about TASing to the TASVideos Forums. I also wrote an article for Zeal about the community, and you can feel free to ask me stuff personally on twitter as well, @jseakle.